Ahhh . . . it’s a beautiful morning here at Learn Hebrew Pod. The sun is shining, the birds are singing, the coffee is brewing and smells wonderful! Mostly, we’re happy to have you with us again as we take the next step in our journey of learning modern conversational Hebrew. And how are you this morning? Wait a minute . . . let’s ask that in Hebrew! 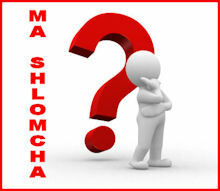 ma shlomcha? By the time we’re done with Lesson 2A, you’ll feel comfortable asking that question of a man or a woman--since we’ll be further exploring the importance of gender in Hebrew grammar. Then, in Lesson 2B, we’ll take our first look at the frequent use of suffixes and prefixes in Hebrew, giving us the additional ability to address a group of men or a group of women. Finally (as you will in many lessons), you’ll have the opportunity to be Hebrew speakers yourselves--practicing your pronunciation and translating words and sentences from English into Hebrew. So plug in your MP3 player and let Eran, Liat, and Jonathan keep you company on your way to work this morning. 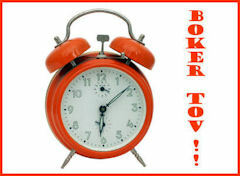 But don’t be surprised if you walk into your office and greet everybody with a friendly boker tov! !